Many people have followed a theme through the Family History through the Alphabet Challenge, however I have Zig Zagged my way through the last 26 weeks, writing about a variety of subjects, family members, places and topics. When I started the Family History through the Alphabet Challenge I had a proposed list of A-Z educational topics that I intended blogging about. However it soon became evident that those viewing the blogs had more experience than I have, so didn't need me to tell them what they already knew. 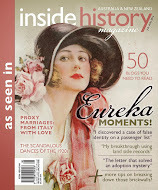 As a newcomer to blogging, I really enjoyed reading stories about others research and ancestors. Additionally, I never tire of looking at photos from the past. This prompted me to change my approach. I used each letter as a prompt to research and write about something that I may not have otherwise. C is for Creative, Cunning or Clever? Thank you to Alona and Gould Genealogy for initiating the challenge, which I have thoroughly enjoyed. I also thank everyone who has read and followed my blogs. I would be very interested to know which blogs you enjoyed most and why. For those who have regularly read my blog, you would know that I like to include family photos and memorabilia. Continuing this theme, I would like to share another Zig Zag related story and photo with you. I come from a long line of female ancestors who sew. Prior to over lockers, Zig Zag was the stitch used to finish edges. 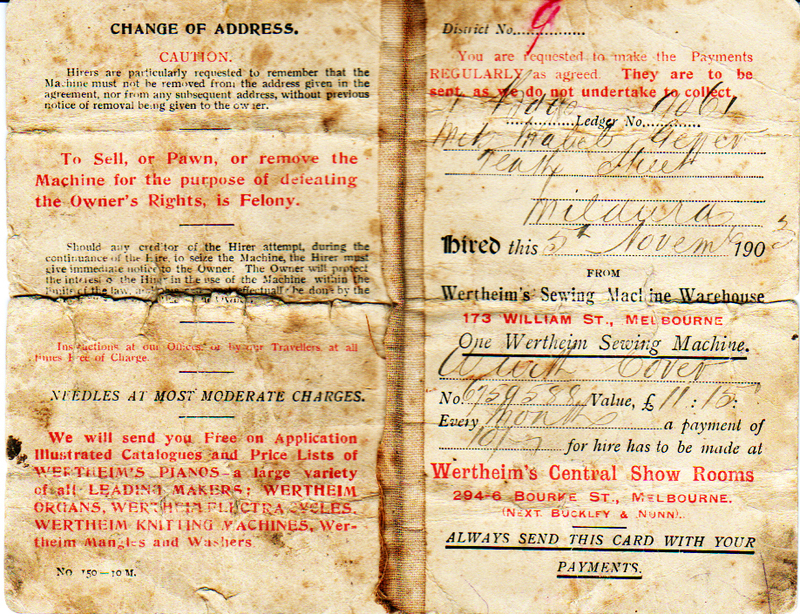 In 1904, my great grandmother, Mabel Pilgrim (nee Geyer), purchased a Wertheim Sewing Machine for £11, 15 shillings. It took her nearly two years to pay it off. Your post has the challenge all sewn up (sorry, couldn't resist). Congrats on making it to the end and with a great variety of subjects too. Lol. That was the way I was going to finish it! I agree with Fi, a great variety and such wonderful photos, stories and memorabilia. Thanks Kerryn. I've enjoyed your posts too. You came up with so many interesting posts for this challenge! 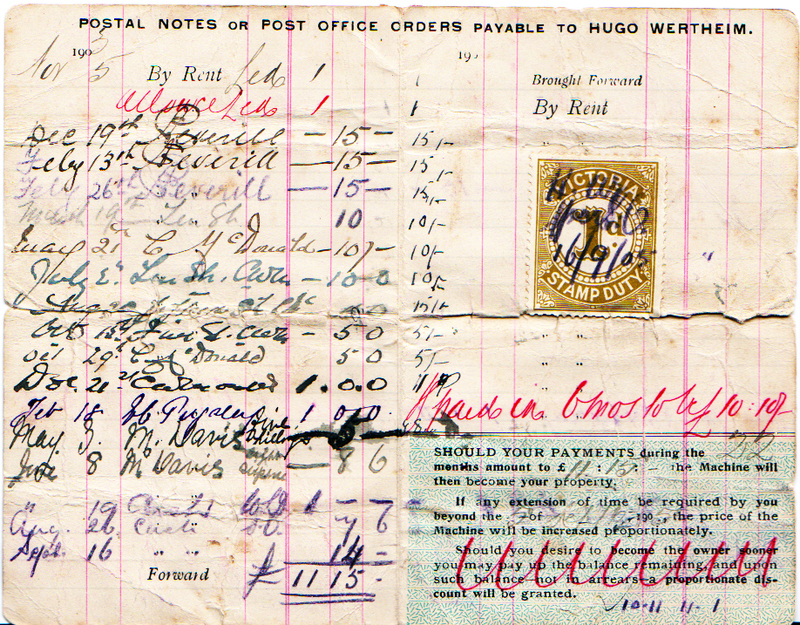 Congrats on making it from A to Z. I also come from a series of seamstresses, weavers, and cloth makers.... :-) That receipt just goes to show you what a precious commodity a sewing machine was...and how it's definitely a lost art today. Can you imagine what our great-grandmothers would say if they knew we went to a store to buy our clothes? Thanks Donna. Ditto. I also enjoyed and learnt alot from your interesting posts. Congratulations on make it to the end of the Alphabet Challenge. And thank you also for joining in and sharing your family stories, memories and heirlooms with us. Every week you've taken us on another trip through history. 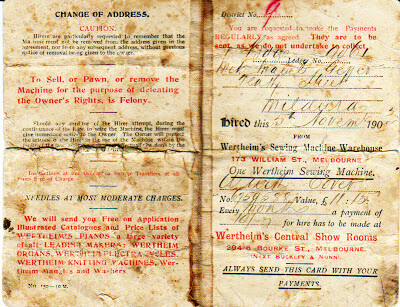 Later this week I will have a final Family History Through the Alphabet round up blog post. This will include some images for those that participated and completed the Challege to use (if you wish). Thanks again Alona for putting this challenge together. I have really enjoyed it. I like the list of links to all of your posts for this series. I may do that myself, after the fact. 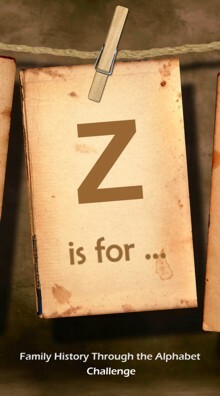 As a descendent from seamstresses and a former sewer myself, I love your Z word - Zig Zag.